When you’re choosing a door for your home, the materials you use to construct the door can have a big impact on your bills and your home’s value moving forward. It’s common for many buyers, especially first-time home buyers, to wait a year or two before deciding on the kind of style they want. In that time, you’ll learn you can find just about any style you want in almost any material. Of course, each material offers different benefits. The biggest advantage to wood is the look you get when you install it, but that’s not the only advantage. Wood doors are insulated well from the elements, and tend to remain warm to the touch regardless of the season. 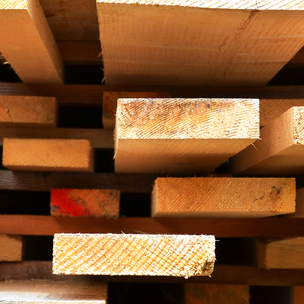 Wood isn’t the most energy efficient material money can buy, and it can dent and warp if not properly maintained. Steel doors accumulate dents easily, and paint can chip too, but they are excellent for homes looking to improve their energy efficiency. These doors have a high insulation value, and they are also extremely secure. Brute force attacks can’t shatter a steel door, so many families feel safer with steel. It’s hard to find a downside to fiberglass. It can come with a wood grain finish, but it’s not as natural-looking as wood. It’s also available in just about any color you could think of. It requires the least amount of maintenance, doesn’t show signs of deterioration and it’s easy to paint over. Each door offers different benefits, so be sure you’ve thought about your home’s location and the weather patterns before choosing. Bio: ETO Doors has showrooms in Las Vegas, New York and Los Angeles. You can view the entire ETO Doors catalogue online, or read ETO Doors reviews from actual customers at the ETO Doors website.